Well that’s one way of looking at things, Sharon. Although, we don’t think most people agree with that way of thinking. She tried redeeming her comment afterwards but you can’t take what you said back. With the number of dead approaching 100,000, a not insignificant number of quake victims were Tibetan-Chinese. If the May 12 Wenchuan Earthquake was “karmic payback” against “Chinese,” which Ms. Stone erroneously equates with “Han-Chinese,” how does Ms. Stone explain all the dead and injured Tibetan-Chinese? Applying Ms. Stone’s logic, should we conclude that Tibetan-Chinese who died in the earthquake were victims of “karmic payback” for the egregious sins of the Tibetan independence movement? Some Tibetan-Chinese don’t admit to being Chinese. Instead, they demand a Tibetan variant of South Africa’s former system of Apartheid. They demand political independence from a polyglot, multi-ethnic China, on the basis of their “Tibetan” ethnic identity. 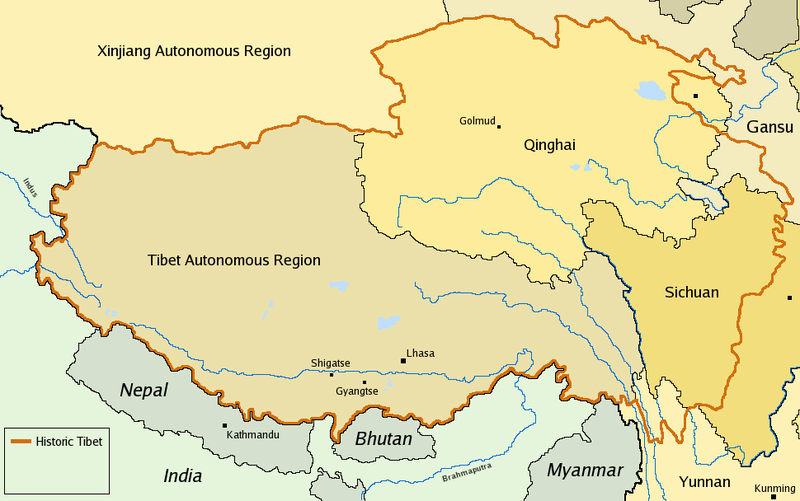 In case you think I’m kidding, take a gander at the “Greater Tibet” territorial claims made by Tibetan independence ultranationalists below. I guess Oberscharfuhrer Heinrich Harrer of the SS really did a thorough job of inculcating his young charge Tenzing Gyatso with Nazi concepts of race and territoriality after all. Heinrich Harrer’s Nazi past was unknown until a 1997 article [appeared] in the German magazine Stern. Harrer became a member of the Sturmabteilung (SA, or “Brownshirts”) in October 1933, when the Nazi Party (NSDAP) was illegal in Austria. He held the rank of Oberscharführer (Sergeant). In March 1938, Austria was annexed by the German regime, as a part of Grossdeutschland (“Greater Germany”). Harrer joined the Schutzstaffel (SS, or “Blackshirts”) that same year and was photographed with Adolf Hitler. Harrer became a friend of the young Dalai Lama Tenzin Gyatso, who had summoned him to the Potala Palace after having seen him repeatedly in the streets below the palace through his telescope. Harrer taught the Dalai Lama (who was eleven years old when they met) much about the outside world and effectively served as his tutor. The Dalai Lama has often credited Harrer’s later writings about Tibet as having helped focus international attention on the plight of the Tibetan people after Communist Chinese control. Okay, I’ll cop to it. Sharon Stone is one of my favorite actresses, and to paraphrase Jimmy Carter, I have lusted after her in my heart. Ms. Stone is both beautiful and intelligent. But the Myth of Shangri-la and Tibetan Independence Political Correctness have her so brainwashed, she is no longer capable of thinking for herself. 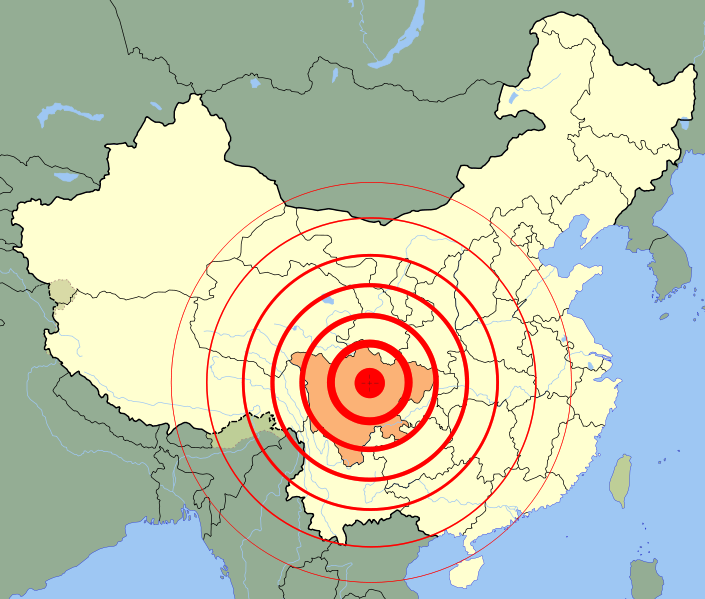 The epicenter of the 8.0 Ms Sichuan earthquake was in the Aba Tibetan and Qiang Autonomous Prefecture, where the ethnic Tibetan population is 53.72%. Videos and criticisms of her comments quickly spread across the web. 2. God would have struck down only Hans and Qian minorities, and left all Tibetans standing. I think China should publish the number of ethnic Tibetans killed. It would be something like 10,000 or more, and show some of the casualties (I saw a Tibetan village on TV, and many of the buildings featured had the distinctive Tibetan designs and Burgundy red color paint of the Tibetans) in Tibetan clothes clutching prayer beads, just to silence the low IQ Sharon Stone, even though they say she has high IQ in reality. Again, I am acting only as a neutral but scientific person, not because I am pro-CCP OK? I am pro-truth and common sense. Backtalk: What Do You Want From Us? I’m not terribly concerned about Ms. Stone’s injudicious remarks. Off the cuff remarks such as those inadvertently clear the air. They make the heartless cruelty of the China demonizers unmistakably obvious, hence unmistakably wrong. Bevin, Taiwan is not included as part of China on the last picture. 😦 Clearly that is not your position? I didn’t notice that whoever made that map deliberately made Taiwan darker. I was concentrating on the earthquake epicenter rings. You know what? This shows you how insidious TI is. They never miss a chance to stick it to us reunificationists. About my previous comment: The light yellow (and orange) portion of the map is actually claimed by the ROC. So the map technically ignores the ROC’s claims, except over the Taiwan region.I apologize for the error.